The Cancer Center provides numerous free cancer screenings throughout the year. We partner with our hospital owners and area physicians to provide this valuable service to our community. Early detection saves lives. Get screened. Be healthy. Watch our calendar for screening event dates. 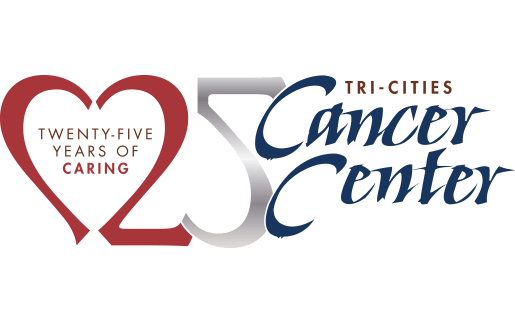 The Tri-Cities Cancer Center offers a Lung Cancer Screening program that is available throughout the year. This is the only cancer screening with a fee. To encourage participation, we offer this screening for low cost of only $50. A key component of this program is participation in our Quit Tobacco class. * pack-years = average number of cigarettes smoked per day multiplied by the number of years a person has smoked. Ask your primary care physician for a referral to the Tri-Cities Cancer Center’s Lung Screening Program. For more information call our Patient Navigator at (509) 737-3405. The Tri-Cities Cancer Center offers the ColoCare® FOBT kit for the detection of hidden blood in the stool. This easy to use kit may be done in the privacy of your home. The test is for screening purposes only. It is not confirmatory for colorectal cancer and does not take the place of other recommended screening tests. Visit the Cancer Center to pick up your no-cost ColoCare® kit. For further information, call (509) 737-3420. We offer breast and cervical screenings at various times throughout the year. These screenings are offered to uninsured or under insured women age 21-64. A free breast and cervical exam with Pap test are provided (HPV if indicated). Women age 45 and older will receive a free mammogram, as appropriate. We offer this free screening to under-insured and uninsured women multiple times throughout the year. 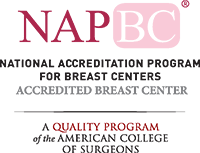 The Tri-Cities Cancer Center offers a free mammogram coupon program to underinsured or uninsured women who do not qualify for the Washington Breast and Cervical Health Program. Coupons are made available to women who have been referred by their primary care physician. The coupon is valid for screening or diagnostic mammogram or ultrasound per doctor’s order. These coupons are offered all year. Did you know approximately 1 out of 6 men are diagnosed with Prostate Cancer during their lifetime? Men, if you are between the ages of 50-69 and are at average risk, have a conversation with your primary care physician to determine if screening for prostate cancer is appropriate for you. If you have a family history of prostate cancer, you should have this conversation starting at age 40. Men 70 and above should consult with their physician and determine the best path for their personal healthcare needs. Speak with your primary care physician to learn if a prostate exam is appropriate for you. Annually, we partner with local healthcare providers to host a skin cancer screening at the Tri-Cities Cancer Center. Considering our glorious 300 days of annual sunshine, it is a wise idea to not only protect yourself from over exposure to the sun, but also to get screened. Remember, early detection saves lives. We offer this free screening in May every year. ©2014 Tri-Cities Cancer Center. All Rights Reserved.